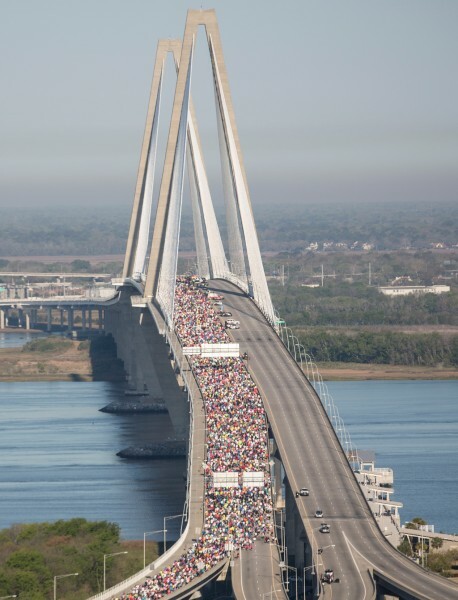 The Cooper River Bridge Run is one of the premier running events in the country attracting runners from all over the world to compete in the 6.2 mile race. It's the highlight of the running scene in South Carolina and Charleston locals look forward to the annual event. The buzz begins in February when many residents begin their training. You will see them traversing the Cooper River Bridge, hoping their legs will be ready for the steep climb they will hit at mile 2. They will map their runs and set their schedules in preparation for the 10K race through the streets of Mount Pleasant and downtown Charleston. While these training training runs are good, there is no better way to test yourself than by entering an actual race. The Catch the Leprechaun 5K is a great tune-up for anyone preparing for the Bridge Run. It's the perfect opportunity to test your legs prior to the big race. Catch the Leprechaun will be held on a Thursday night when most Bridge Run participants will be going out on their training runs. Instead of running by yourself or in a small group, why not compete against of hundreds of other runners to get a better feel for how you will do at the Bridge Run?